I love Casseroles! and this has to be one of my family's favorites, especially our son. This one's for you Mark:). A short story to go along with this yummy meal. There were days that our son had a friend over and of course I would always invite them to eat with us. His very good friend's mom called me after Danny had eaten with us and said "can I please have your recipe for pot pie"? Her exact words were "'Danny loved it and is begging me to make it". It was an honest feel good moment. :) for me. At that moment I realized sharing recipes was a wonderful giving experience and that I would do forever. 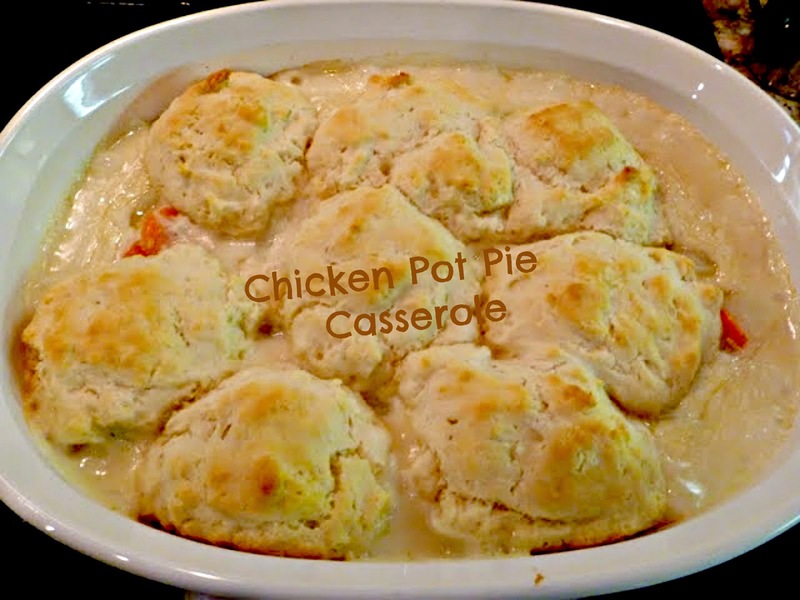 We have lost contact with Danny and his family but I am sure without a doubt Danny's mom has now made this pot pie recipe for her grandchildren. Enjoy! and pass this recipe to others so that they will enjoy it too. Topped with Bisquick mix..Heaping tablespoons into hot mixture made according to package directions but increasing water slightly. 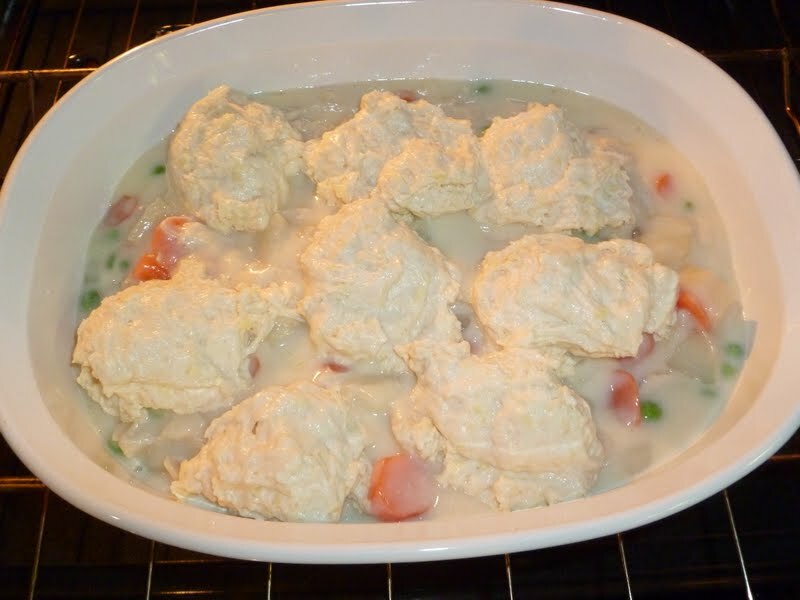 Betty Crocker and I have been long time friends..Years ago I experimented with a version of Betty's chicken pie recipe, by adding some peas, carrots and potatoes to it. 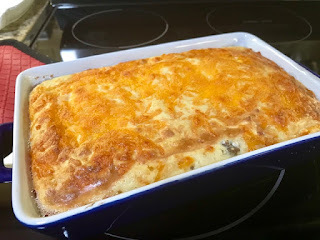 I realized long ago I must get some veggies in as much as I could with our children and this casserole surely did it. It was one of my son and his friends favorites.. Several of their mom's asked for the recipe..I top it with Bisquick Biscuits mix and bake..Walla! A tasty meal and leftovers are great..Here's my adjusted version..Happy Cooking! 1 3/4 cups chicken broth( I used my homemade soup)but I have made it with Swanson's Chicken Soup. Heat oven to 425 degrees..Heat 6 tablespoons butter over low heat. Blend in flour until mixture is smooth. Stir in broth and milk. Bring to a boil stirring constantly.. Bring to a boil fo about 1 minute. Stir in chicken and vegetables. Pour into baking dish. Top with heaping tablespoons Bisquick mix increasing water to 2/3 cup. ( I use Bisquick Complete Mix). Spoon large tablespoons of mix over chicken mixture. Bake until Biscuits are slightly browned approximately 20 minutes. Serve by heaping spoonfuls.. Note: I cook my chicken, potatoes and carrots ahead to save time and I refrigerate them until ready to use. Another way to speed up this meal is to use canned chicken and broth as well as frozen vegetables..